Pennsylvania is a region that is so diverse in wildlife. According to recent statistics, there are some 71 native mammal species found in the state, but 11 of these have become extinct. Some of the most popular mammals here are; The mountain Lion, Wolverine, Gray wolf, Lynx, bison and Moose. By definition, wildlife should include wild mammals, and wild birds( including game and non-game species) According to the Pennsylvania Game commission, there are some 480 species of wild mammals and birds in the state of PA, and out of these, there are some 414 wild bird species alone, and 284 of these are regular habitants of the local habitat, while the remaining 129 are frequent visitors to the state. Many of the wildlife mammals in PA are scarce or going into extinction, however , most of the bird species are thriving within their natural habitats. 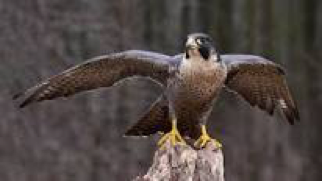 The Peregrine falcon is one of the most prominent bird species in PA, and it is often referred to as a “Raptor bird”, or bird of prey. The adult of this bird species do possess blue-gray wings with some darkish-brown back, while their faces are predominantly white. Falconry birds are quite popular in PA, and they are a group of raptors that mostly hunt for other animals for survival. Fish species of PA include; Chain pickerel, Crappie (black and white), blue gill, Pumpkin seed, walleye, Yellow perch, sun fish (red breasted), Muskellunge, American shad, rock bass, and trout. The availability of these species will depend on the weather conditions or season. Flowers , plants and trees contribute immensely to the survival of wildlife in PA, and there are hundreds of these species either existing or going into extinction. Commonest tree plants include; Red maple, silver maple, River Birch, Bitternut Hickory, Eastern cottonwood, Oak(willow , pin or black), and Pawpaw. Commonest shrubs include ; Buttonbush, silky dogwood, Ninebark, and Rosebay. Commonest flower plants include; Sneeze weed, Turtlehead, Boneset, Closed Gentian, Summer Phlox, Cardinal flower, and Purple stem aster. Humming birds –they are among the smallest birds in the world, and they have iridescent feathers. 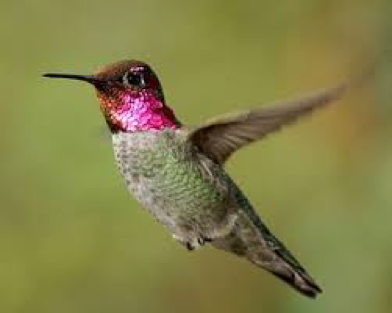 They are named Hummingbirds because they flap their wings very fast that they create humming sounds. Bronze Frog (Lithobates clamitans) – They got their names from their skin colour. They are mostly found in swamps and stream sides. 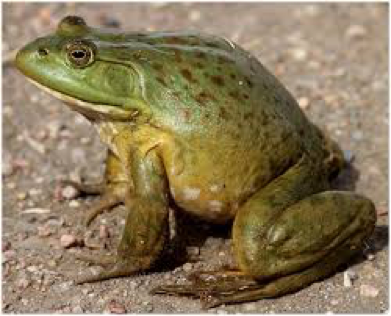 Bullfrog (Lithobates catesbeianus)-this is an amphibious frog belonging to the Ranidae family that are also referred to as “True frogs”. 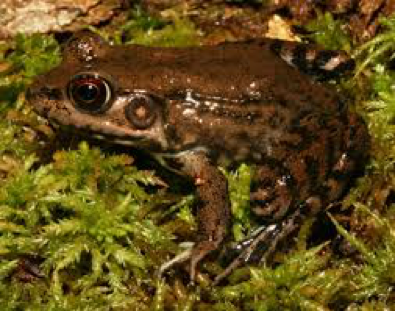 It is also referred to as African bull dog or pixie frog. They are quite large and aggressive in nature. 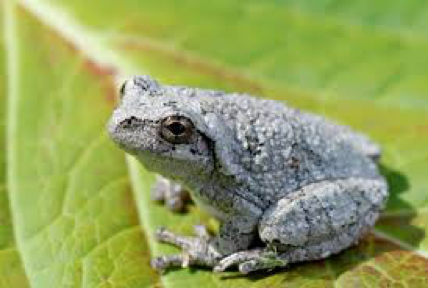 Grey tree frog (Hyla chrysoscelis) – This is a small arboreal frog that is about 2 inches long. 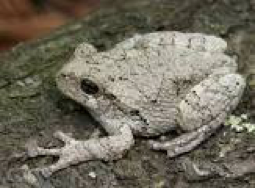 It has a predominantly grey or brown colour, with some blotches located on its back. They have granular skins and large toe pads. 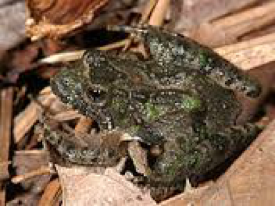 Northern Cricket Frog (Acris crepitus)- these are a group of frogs belonging to species of hylid frog that are native to the United States. Even though , they belong to the tree frog family but they are not arboreal. The Pickerel frog- This is a small frog with square designs that look like hand-drawn objects located on the frog’s dorsal surface. These are large frogs that measure between 2 and 4 inches in body length. They also have 2 rows of dark-squarish spots on their backs. 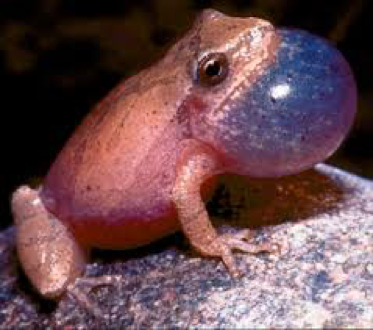 Spring Peeper (Pseudacris crucifer) – this is a small chorus frog and it is so called by this name because of its chirping call that usually marks the beginning of the spring season. The frog grows to about 1.5 inches in length. 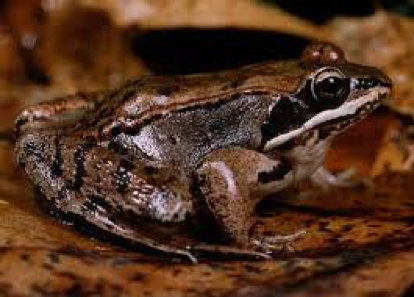 Wood Frog (Lithobates sylvaticus)- this is a type of frog that can resist adverse weather conditions especially in winter season when it freezes and thaw literally when temperatures fluctuate. They do have shades of red or brown colours on their skin. 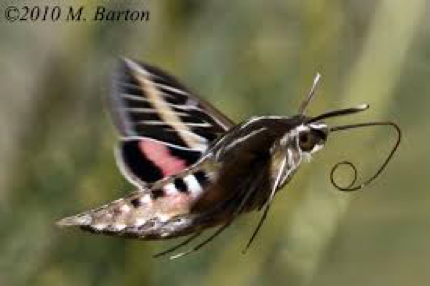 Sphinx Moths aka Hawk Moths- these are a family of moths that are also referred to as “Hornworms”. They are mostly seen in the tropics. They have narrow wings and streamlined abdomens that help them adapt to rapid flight. They normally over in the air while feeing on nectars of flowers, and they can be sometimes mistaken for humming birds. 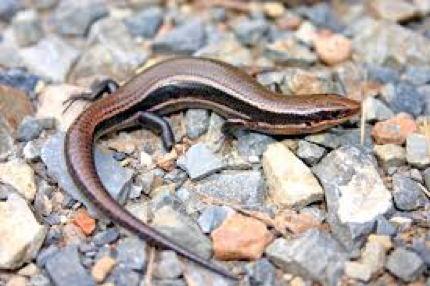 Broad-headed Skink (Eumeces laticeps)- This is a broad-headed skink that belongs to a family of lizards and they are endemic to South Eastern parts of the United States. 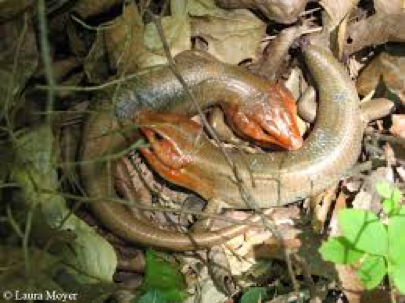 These are the largest skinks in the South Eastern part of the country and they usually have orange to red heads with greenish-brown bodies. 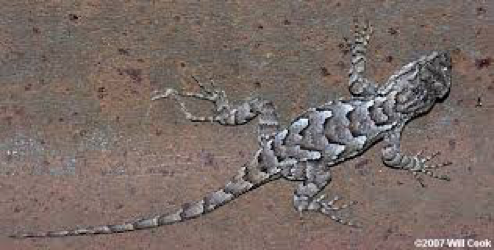 Eastern Fence Lizard(Sceloporous undulatus)-these are medium size species of lizard that are mostly found along the forest edges , rock piles, stumps and rotting logs. They have spiny bodies, which mean their skin is rough, with some pointed scales located on their backs and often possess gray to brown colours. 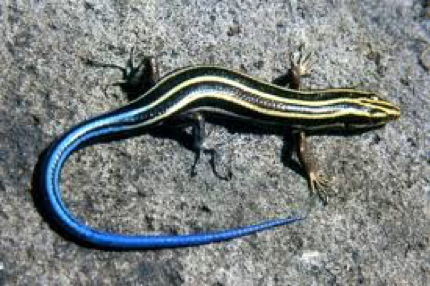 Five-lined Skink (Plestiodon fasciatus)- these species of lizard are also referred to as “Eumecs” and they can grow from 5 to 8.5 inches in length. They are characterized by shorter legs alongside a streamlined body. The exterior part is characterized by a mix of golden brown, black, orange and the tail has a shade of blue. 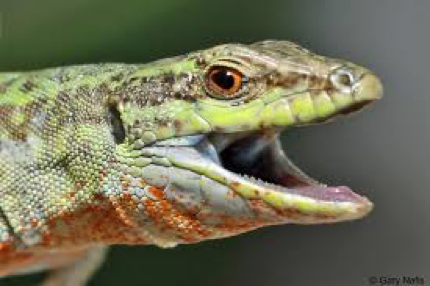 Italian Wall Lizard(Podorcis sicula)- this lizard is also referred to as ruin lizard or Turkey lizard , it is referred to as a habitat generalist because it can be found in many habitats but mostly prefer a structural complex habitat. The lizard is characterized by shades of green and brown colours. Northern Coal Skink(Plestiodon anthracinus anthracinus)-This lizard has been in existence since the 1890s and it is endemic to the Northern American region. It can grow to between 5-7 inches in body length, and consumes predominantly insects. 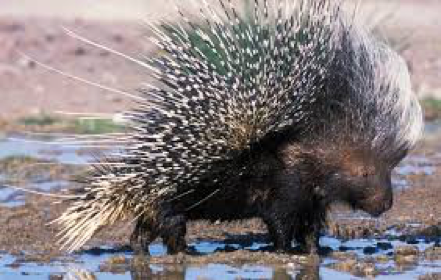 Porcupines- This is a rodential animal characterized by a body coat filled with spines- these ensure that the animal is protected against predators. This is the prickliest of rodents in the world today, and there are about 2 dozens of porcupine species. Porcupines can weigh as much as 30kg, however they are considered to be slow animals. Birds Song birds, water fowls, herons, cranes, etc. 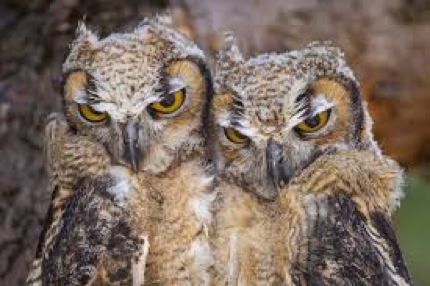 Birds of Prey–Raptors Owls, hawks, eagles, kestrals etc. Insects: Caterpillars Moth and Butterfly Larvae plus..
Insects: Bees, Wasps, Hornets Bees, Wasps, Hornets, YellowJackets. Mushrooms & Fungi Toadstools and fungi, etc. *Note-If anyone who comes here can ID any of these-I’ll be grateful for the help. Some IDed by Roger’s Mushrooms. Thanks!